Cyclamen (Cyclamen spp.) grows from a tuber and offers bright flowers with inverted petals that make you think of hovering butterflies. These lovely plants can be propagated by seed and also by division of their tubers. However, both propagation methods can prove tricky in certain cyclamen species. 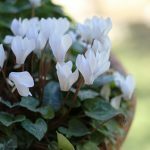 Read on for more information about the two primary methods of propagating cyclamen plants: cyclamen seed propagation and cyclamen plant division. When you want to learn how to propagate cyclamen, remember that there are at least 20 different species of this plant. All are native to the Mediterranean region and require mild temperatures to thrive. 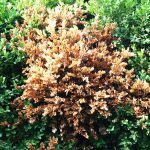 Propagation methods that work well for one species may be problematic for another. Two of the most common species are hardy cyclamen and florist cyclamen. The former is easily propagated by cyclamen seed propagation or dividing cyclamen tubers. Florist cyclamen is more difficult, requiring more know-how and patience. 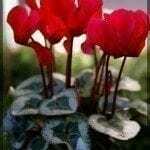 If you want to know how to propagate cyclamen, here is information about cyclamen seed propagation. Propagating cyclamen plants by seed involves soaking the seeds and putting them in the ground at the correct time. Generally, you should soak cyclamen seeds in water for up to 24 hours before you put them in the soil. If you want to plant the cyclamen seeds directly outside, do so in the spring. Wait until the soil warms up to 45 to 55 degrees Fahrenheit (7-12 C.). They will bloom the following spring. Alternatively, when you are propagating cyclamen plants by seed, you can start them in pots inside during the winter. This may produce blooms the first year. Cyclamen seed propagation can be slow for florist cyclamen, yet this is the only method used by professional growers. Go ahead and give it a try, but have a lot of patience. You aren’t likely to get mature, full-sized blooming plants before 15 months. Don’t try rooting clippings from the stems or leaves of cyclamen plants. When you are propagating cyclamen plants, you want to use the swollen underground root called the tuber. Cyclamens reproduce via this tuber. You can propagate the plant by lifting the tuber from the soil in the fall and dividing it. Replant the pieces under about 2 inches of soil to encourage them to root before winter arrives. Adding a layer of mulch protects the tuber divisions from cold weather.